RAW Brix Refractometer is designed to measure the emulsion concentrations in the metalworking industry. ​Save money by achieving optimum working conditions. It is important that your cutting fluids have the correct mixture ratio. 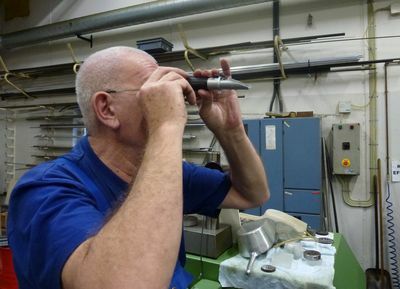 Too low concentration results in poor lubrication and your tools will wear out faster. Too high concentration results in unnecessary high costs and the temperature will rise faster. ​Our Refractometer is unique compared to other Brix scale refractometers. It is specially designed to measure the concentration of emulsions and will therefore always show a correct and accurate result. All you need to do is adding a few drops of your emulsion liquid to the main prism. Close the cover plate and ensure that the fluid covers the entire prism area. 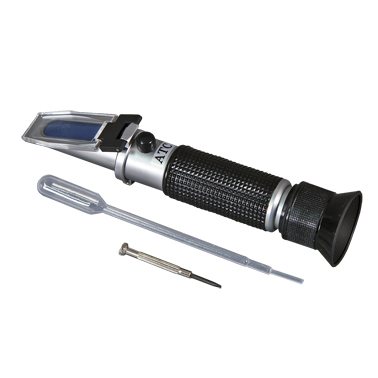 Point the Refractometer towards a light source and instantly you will be able to read the exact value.